As part of Hälsoveckan 2019, Spinn has been invited to hold a workshop at Dalheimers hus in Gothenburg, Friday January 25 at 13.00-14.00. The theme of the workshop emanates from our previous workshop Lika värde, which revolves around how we are different yet the same. 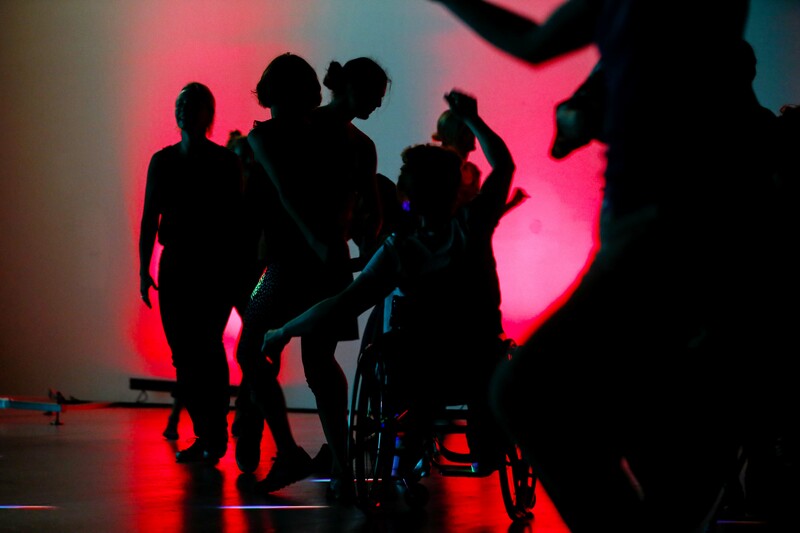 We dance based on our own abilities and reflect on what’s happening in the room and in our own bodies. We get warmed up and make exercises at various tempos and make time for reflection. The workshop consists of creative exercises and improvisation. No previous dance experience necessary. All ages welcome! Bring comfortable clothes! The workshop takes place at Hultbergssalen at Dalheimers hus, Slottsskogsgatan 12 in Gothenburg and will be held by Adam Henriksson from SpinnUnga and Veera Suvalo Grimberg. The workshop is free of charge, and you don’t have to register in advance, so just come along!